This is an extremely important spiritual prayer. This prayer was given to us by Lord Buddha. It has several very special powers. It can eliminate all evil karmic hindrances and eradicate the suffering of all evil paths. After the completion of this exercise, the effect of evil forces is removed from the student’s soul. This prayer has the power to liberate parts of the soul trapped in the clutches of lower entities. This prayer eliminates any possibility that the student’s soul may end up in a hell-like existence in the next life. This prayer liberates all souls who hear it from of falling into the sea of birth and death; samsara. The cycle of physical birth and death is ended by repeating this prayer. This prayer prevents the student from being able to commit an evil deed. If someone hears this prayer even for just a moment, he will not undergo karmic retribution from the evil karma and severe hindrances accumulated from hundreds of thousands of lifetimes, that would otherwise cause him to revolve in the cycles of birth and death – in all kinds of life forms in the evil paths – hell, hungry ghost, animal, spiritual realms, ghosts and spirits, mosquitoes, gnats, tortoises, dogs, pythons, birds, ferocious animals, crawling creatures and even ants and other life forms. Owing to the merits accrued from hearing for a moment this prayer, once this very life is over, the student will be reborn in the Primordial World, together with all the Buddhas and Bodhisattvas. If the student chooses, he/she may also be reborn in a distinguished, wealthy and reputable family on earth. 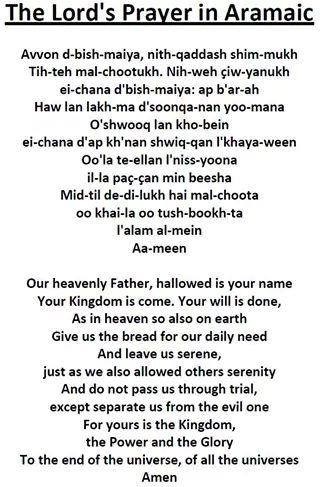 Such are the merits of this prayer. SAMCODITE, SARVA TATHAGATA AVALOKANI, SAT-PARAMITA, PARIPURANI, SARVA TATHAGATA MATI DASA-BHUMI, PRATI-STHITE, SARVA TATHAGATA HRDAYA ADHISTHANADHISTHITA MAHA-MUDRE. VAJRA KAYA, SAM-HATANA VISUDDHE. SARVAVARANA APAYA DURGATI, PARI-VISUDDHE, PRATI-NIVARTAYA AYUH SUDDHE. SAMAYA ADHISTHITE. MANI-MANI MAHA MANI. TATHATA BHUTAKOTI PARISUDDHE. VISPHUTA BUDDHI SUDDHE.